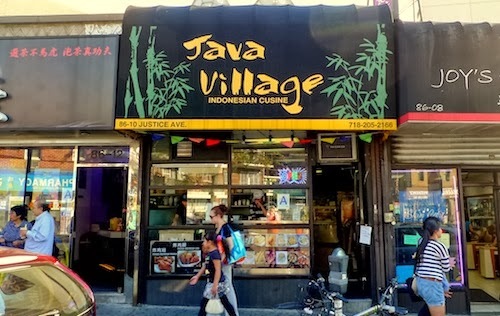 It is so close to the exit that you almost leave the subway directly into Java Village, a tiny family-owned Indonesian cafe in Elmhurst. The pickings can seem sparse in the freezer, refrigerator, and on the steam table, but the best thing to do is order something that will be prepared fresh from the back. I did not catch the exact price, but I believe that a choice of three of the steam table items is $7. 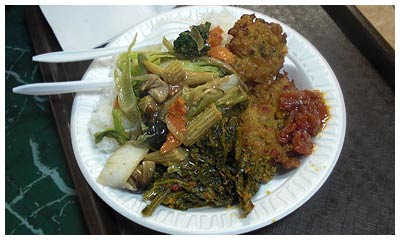 The picture below has bakwan (fried corn cakes), cap cay (translating exactly to 10 vegetables), and a mixture of kasava and papaya leaf. 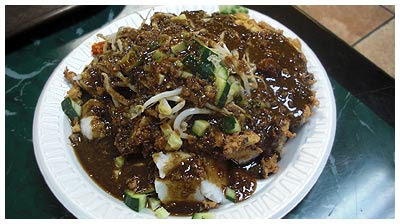 The dish has a spoon of sambal, a chili paste sauce that is the most important part of any plate. 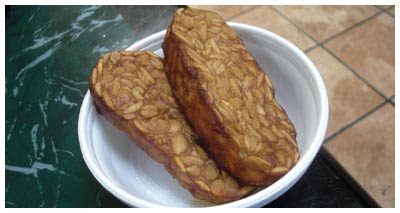 The meal was accompanied by tempeh (below), a soybean cake rich in nutritional value and dubbed the "Javanese meat." I found it lacking much flavor but was assured by my Indonesian friend that they are much better when found by vendors in the street. By far the most adventurous dish of the meal was the tahu tek tek ($6, below), a mix of sprouts, scrambled (and then fried) eggs, tofu and vegetables. It is all topped with a subdued but delicious peanut-based sauce that is similar to what you might find on gadu gadu. The Indonesian version of peanut sauce is not sweet at all, but contains caramelized fermented shrimp paste, chili, and garlic. It is typical of East Javanese cuisine. 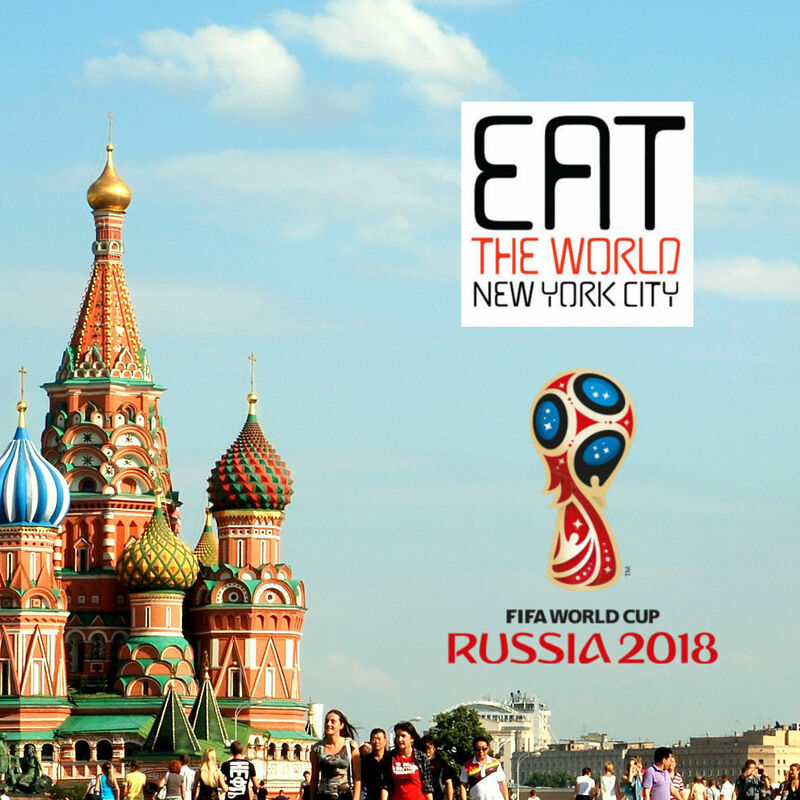 While you are in the neighborhood, be sure to check out the small Indonesian grocery store around the corner at 85-12 Queens Boulevard. It is called Indo Java, and has a fun variety of dried and packaged products, as well as some freshly made baked and refrigerated goods.